Pamela Simms-Mackey, MD, volunteers on both the ABP General Pediatrics Examination Committee and the Maintenance of Certification Committee. The ABP agrees, and over the past several years, has made a conscious effort to increase the number of volunteers from different backgrounds and with different perspectives. Historically, ABP boards, subboards, and committees have included more male, white, and older members than the general population of pediatricians. However, over the past decade, membership has become more diverse. For example, in 2012, 42 percent of ABP volunteers were women. In 2018, 51 percent were women. The percentage of women certified in general pediatrics is 64 percent, and women now make up 73 percent of pediatric residents. To increase volunteer opportunities, the ABP bylaws were revised in 2012 to limit committee appointments to six-year terms. 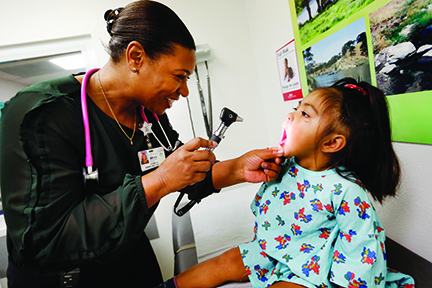 The ABP works closely with other organizations to seek nominations of pediatricians from underrepresented minority groups. An online nomination tool, developed in 2014, allows physicians to volunteer to serve on subboards and question-writing committees. "I am a woman, a person of color, from the West Coast and in primary care. I feel like I help make the systems fair for all and can speak up if there is any implicit bias in questions created by the Board or in processes the Board is designing for certification or Maintenance of Certification. “When I first started with the Board, many questions on the recertification exam started off with ‘A 13-year-old African-American girl…’ or ‘A four-year-old Caucasian male…’ I challenged my work group on why those descriptions were in the question. We are supposed to be teaching or evaluating what providers ought to know. Practicing in California, I have seen African-Americans with cystic fibrosis and Latinos with sickle cell disease. If the Board continued to produce questions like that, we would be teaching our pediatricians that certain diseases only happen in certain populations, when the world is changing and many diseases can be in a lot of populations, since race is a somewhat false construct based on what someone looks like, rather than their actual genetic makeup. Now you will see that the majority of questions we produce have cut out those descriptions, and we are evaluating our providers on how they assess the patients based on the history and facts presented to them." Photo used with permission of Mercury News. Copyright © 2018. All rights reserved.